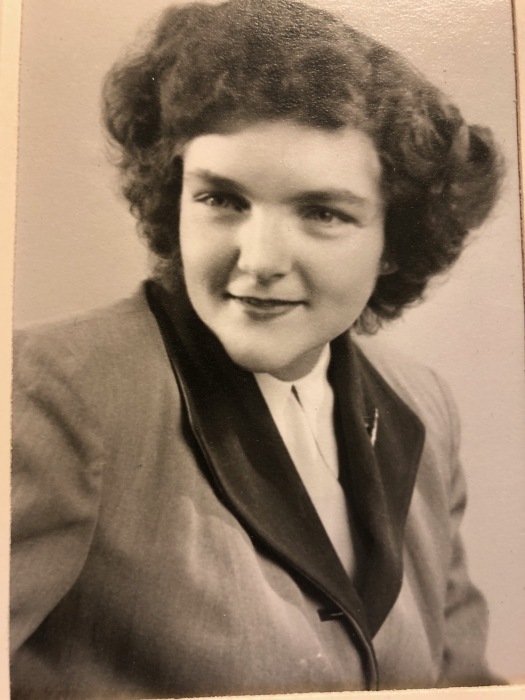 Catherine “Katie” Ora (Scott) Southworth, 87, of Park City, passed away peacefully on April 11, 2019 with her loving family by her side. Katie was born to Fred and Hazel Scott on February 26, 1932 in Columbus, Montana. Katie graduated from Park City High School in 1950. Katie married her high school sweetheart, Richard Southworth on January 20, 1951. In 1951, Richard was drafted into the U.S. Army sent to Korea where he served for two years. During Rich’s time away serving our country, Katie gave birth to their first daughter, Nicki. Katie is survived by her husband of 68 years, Richard and her children Nicki (Rick) Larson; David (Velda) Southworth and Kelly Bernhardt, and a cousin, Ronnie Hoffman who was raised with Katie. Katie’s life was filled with the love of 11 grandchildren and 20 great grandchildren and 3 on the way, 3 great, great grandchildren. Katie was preceded in death by her parents Hazel and Fred Scott and her son Tracy Southworth. The Scott and Southworth families have a long history in the Yellowstone and Stillwater Valley. Katie’s grandparents, Jim and Vera Scott, were the first white family to settle in the Stillwater Valley. The Southworth family moved from Kansas around 1918 and homesteaded and farmed on Valley Creek just north of Park City. The Scott family operated Scotty’s Service in Park City from 1938 to 1968. At that time, they built Scotty’s Conoco Truck Stop in Park City in 1968. Richard joined the family business. After Hazel and Fred Scott retired, Richard and Katie operated the family business until 1978. Richard and Katie lived in Park City until October 2015 when they moved to Morning Star in Billings. Katie was an accomplished musician playing the violin, organ and saxophone and she had a beautiful singing voice. During her school years, Katie participated in chorus and band and she was a cheer leader. Katie passed her appreciation of music onto all her children. Katie was an incredibly kind and caring individual who welcomed all. Katie always kept us laughing with her original and sometimes quirky sense of humor. Family outings included many camping trips to West Rosebud with campfires and cookouts and of course there was the Red Rooster! Katie was an avid reader and loved flowers. Rich indulged her by planting and tending to the tulips, roses and colorful annuals each summer on the patio. In April 1980, Katie began working at EBMS in the claims department. After ten years of service, Katie was the first EBMS employee to retire. Katie was immensely proud of her large family and leaves behind nothing but beautiful memories. As her health declined, Katie took every opportunity to ensure each of us knew how much she loved us. You never left the house without an “I love you” on the way out the door.